As we all have no doubt heard, as of 14 October 2016, up to 26 members of the Muslim Rohingya community living in the town of Maungdaw, close to the border with Bangladesh in Rakhine state in Myanmar were murdered in apparent retaliation by the Burmese regime forces for the deaths of some nine Myanmar border police officials occurring during a dawn raid perpetrated unknown assailants the day before. According to an eyewitness, at least seven of these 26 were brutally gunned down in cold blood by Burmese forces who entered Myothugyi village, a village inhabited predominantly by Rohingya located a mile east of Maungdaw, in an apparent attempt to intimidate its residents and enforce a curfew. Another journalist who was with the security forces witnessed an additional shooting of at least another three unarmed Rohingya by the said forces in the same village. These arbitrary extra-judicial killings, committed by non-other than official forces constituted for maintaining peace and order, are clearly based on non-transparent and biased investigations made without ascertaining on the ground facts. This latest round of violence is thought to be the worst since the attack and brutal massacre of more than 300 Rohingya Muslims in June 2012 due to sectarian violence occurring as a result of unsubstantiated claims that Rohingya were responsible for the murder of a Buddhist woman also in Rakhine State and results from the systematic oppression forced upon this minority Muslim community by a regime consisting of the majority ethnic Burmese Buddhists headed by so-called peacenik Aung San Suu Kyi, herself known to be apathetic regarding the plight of the Rohingya. As confirmed by non-other than the United Nations itself, under her supposedly “liberal democratic” administration, the 1.3 million strong Rohingya, who had been herded around like cattle under the old military-led junta, continue to have their citizenship denied, movements severely restricted, access to basic resources limited and activities closely monitored by the newly installed regime based in Naypyidaw. This, among many others, namely the overt toleration of extremist Buddhist groups preaching hatred of Muslims in Myanmar, contributes towards the now routine flare ups that occur from time to time which no human being in his or her right mind would ever countenance. The systematic suffering by this poor defenceless community who have done no wrong whatsoever and do not justify any ill treatment can and must be brought to a permanent end and it is up to us, as members of the international community, to do so. This is especially pressing since as of today and according to MYARF, hundreds of houses belonging to Rohingya have been burnt down, at least another 92 Rohingya civilians have been killed by the Myanmar military and more than 10,000 Rohingya have been internally displaced in Maungdaw. Yet the response by international organisations so far regarding this latest spate of violence is anything but satisfactory. The Organisation of Islamic Conference (OIC) has merely expressed “grave concern” and appealed for calm and called on all stakeholders to apply maximum restraint and refrain from the use of violence. The response of the EU in particular has been partial, where it merely expresses sympathy with families of the border police officials who lost their lives and pledges to stand with the Burmese regime, without expressing so much as even a feigned apprehension for the Rohingya. Meanwhile, the response of the Advisory Commission on Rakhine State headed by former UN Secretary-General Kofi Annan and consisting of known anti-Rohingya Burmese figures such as U Win Mra and Saw Khin Tint has been nothing short of pathetic. Only a short statement “strongly deploring” the violence perpetrated and expressing condolences and sympathies to families of those killed and injured, without so much as even noting the mass executions of Rohingya, was made. Following its recent reforms and installation of its first civilian led, democratic government in decades, Myanmar is supposed to be a fully functioning member of the international community which is expected to treat all of its peoples, including its minorities, with dignity and accord them rights enjoyed by peoples of other nations as required by international human rights and humanitarian law. Sadly this remains elusive for the Rohingya in particular. Systematic discrimination and oppression by the Burmese state against them, as mentioned previously, continues unabated. This cannot be allowed to continue and we in CENTHRA believe that it is high time mechanisms available under International Law be engaged to pressure Myanmar to be made accountable for their treatment of Rohingya, or at least, Myanmar should be made to suffer the consequences of failing to provide for their dignity and welfare. In order for this to happen, it is time to move beyond mere words and statements routinely issued to condemn and chastise the Burmese state. While previously ad hoc international tribunals were set up to try regimes responsible for the perpetration of mass genocides, such as the one occurring in Rwanda in 1994, now we have the International Criminal Court or ICC, set up under the Rome Statute in 2002 as a permanent tribunal for this purpose. Under Article 5 of the Rome Statute, there are four international crimes recognised as coming within the court’s jurisdiction, namely genocide, crimes against humanity, war crimes and the crime of aggression. 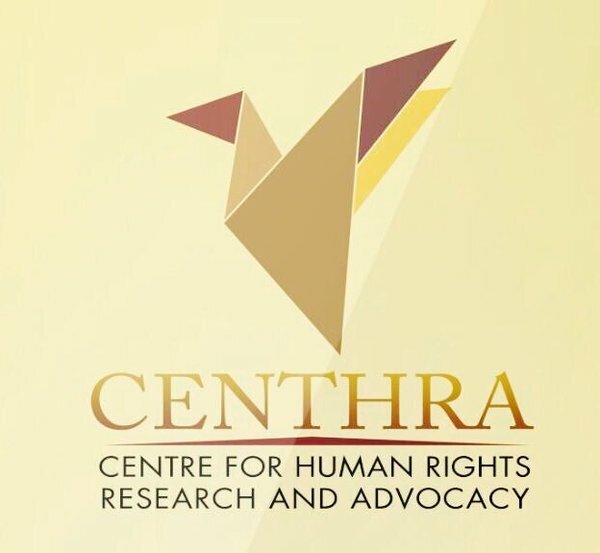 CENTHRA believes that the Myanmar regime’s actions against the Rohingya fall under at least two of these crimes, genocide, and crimes against humanity. We note that pursuant to Article 13 of the Rome Statute, the ICC is only seized of jurisdiction to try the abovementioned crimes only of one or more of three situations occur, namely the relevant parties are party to the Rome Statute, the crimes are referred by the UNSC under Chapter VII of the UN Charter, or the Prosecutor of the ICC begins an investigation of his own accord pursuant to information given to him or her. Of these options, two are open to pursue, namely, referral by the UNSC and initiation of investigations by the Prosecutor. But in order to realise this, nations across the region, particularly members of ASEAN, must cease continuing to stand idly by while the ongoing genocide against a defenceless community, namely the Rohingya, continue to be perpetrated by a fellow ASEAN member state, Myanmar. They must instead decide that enough is enough, and take action. Even before Myanmar was accepted as a member of ASEAN, concerns had been raised, particularly by Malaysia and Indonesia, with respect to its treatment of the Rohingya community. Sadly, such concerns were simply brushed aside at the insistence of other members, such as Singapore, on the basis of the well-known non-interference principle so slavishly adhered to collectively by ASEAN member states. Yet continued adherence to this principle in the face of the senseless killings now ongoing in Rakhine state would amount to sheer disregard for higher considerations under international human rights law, such as the right to life that has been recognised by numerous human rights instruments such as the Universal Declaration of Human Rights, the International Covenant on Civil and Political Rights, the Geneva Conventions and even the ASEAN Declaration on Human Rights. Furthermore, a fundamental purpose of ASEAN, as enumerated by Item 7 of Article 1 of its founding Charter, is to strengthen democracy, enhance good governance and the rule of law, and promote and protect human rights and fundamental freedoms. This cannot be realised by insisting on adherence to the principle of non-interference. As such, ASEAN member states need to collectively agree the suspension of this principle on the basis the urgent need to protect the Rohingya in particular, and immediately intervene by demanding a complete halt on the part of the Myanmar regime of any further activities undertaken by it that contribute towards the escalation of violence against the Rohingya in Rakhine state. Such an insistence must be followed up by ensuring the complete and final dismantlement of all systematic measures in place within Myanmar denying the Rohingya rights and dignities enjoyed by all other peoples of this world, such as citizenship, access to resources, freedom of movement and being free to perform lawful and beneficial undertakings such as obtaining education, marriage and the like. Of equal importance is also the role of the various international human rights organisations in applying pressure on the Myanmar regime by pursuing the ICC route. As the Rohingya are mainly Muslims, the OIC must go beyond a mere declaration of grave concern and its human rights organ, the IPHRC must take immediate action by forming a special committee to investigate and document the ongoing mass murders and systematic discrimination, as well as issuing its own condemnations of the same, for use as eventual evidence before the ICC. After all, one of the stated functions of the IPHRC is to advance fundamental rights of Muslim minorities and communities in other states. 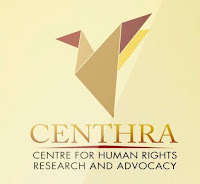 Yet as of now, we at CENTHRA have yet to see any action by the IPHRC with respect to the ongoing violence perpetrated against Rohingya Muslims in Myanmar. The UNHRC, as the principal UN human rights organ, with the responsibility for strengthening the promotion and protection of human rights around the globe and for addressing situations of human rights violations and make recommendations on them, also has a role to play in this regard by issuing a resolution urging the UNSC to take action, as a preliminary step towards securing the eventual UNSC resolution referring Myanmar’s actions to the ICC. Member states of the UN that are in the UNHRC therefore, should also undertake its own immediate investigations into the systematic rights abuses ongoing with respect to Rohingya Muslims in Myanmar. We at CENTHRA fervently believe that with the undertaking of the abovementioned actions by all responsible stakeholders, namely immediate intervention by ASEAN as well as international human rights bodies such as the IPHRC and UNHRC, as well as immediate action by the UNSC to stop systematic discrimination, oppression, mass extra judicial killings, displacements and restrictions perpetrated against the Rohingya by the international pariah state that is Myanmar, and strong condemnation and denunciation of its leader Aung San Suu Kyi for failing to take appropriate action, by going beyond mere condemnations and doing no less then referring this matter before the ICC so that those of the regime responsible for the violence can be punished for their crimes, will result in the common cause of all decent, civilised humanity to secure a just and everlasting outcome in favour of the affirmation of rights and dignity of the Rohingya to a peaceful coexistence as equals with their other brethren in Myanmar. Let us hope and pray that this can be realised within our lifetimes and let us undertake due initiatives towards securing that outcome. *Media Statement by Azril Mohd Amin, Lawyer and Chief Executive, Centre for Human Rights Research and Advocacy (CENTHRA), Putrajaya, 17 October 2016.